you can make it quickly any time the mood strikes! 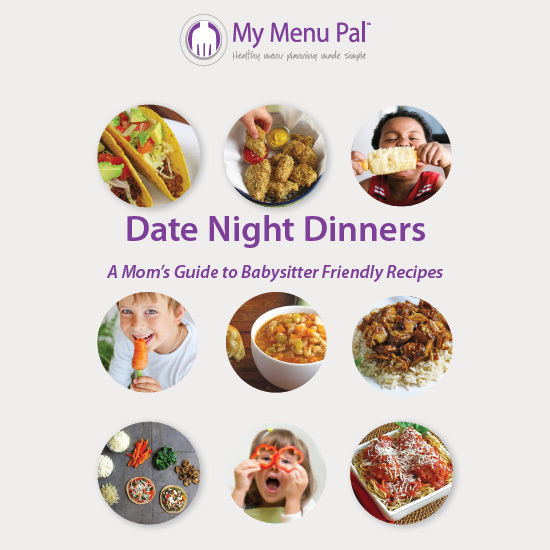 Happy 6th birthday Recipe Redux!! It is hard to believe that I’ve been part of this great group of dietitian and healthy bloggers since the beginning. 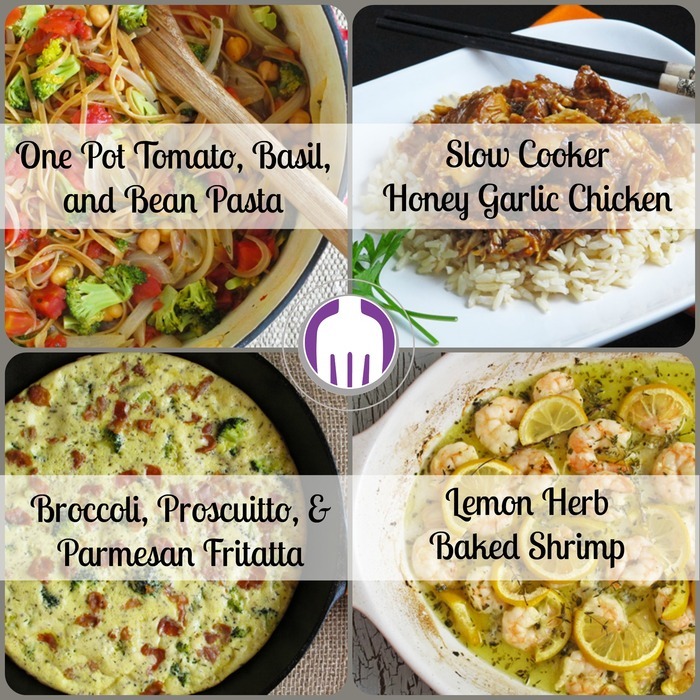 It’s been fun to challenge ourselves each month to create a recipe for that particular theme. This month we are celebrating with bite-sized desserts! 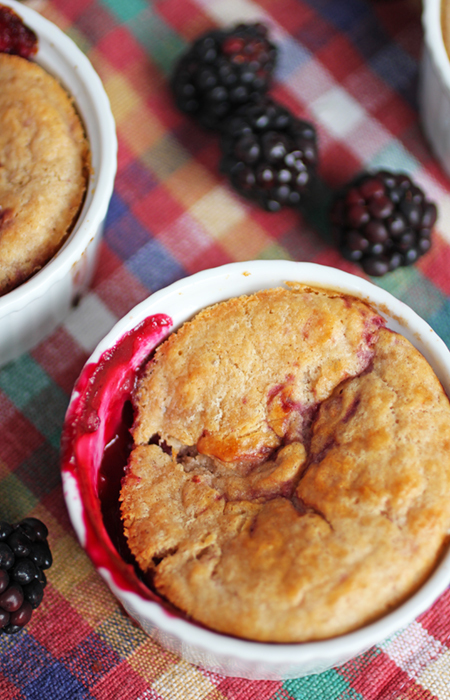 And nothing says summer to me like blackberry cobbler, though in mini form. Growing up, we would spend our summers at a nearby lake. And come end of June/beginning of July, we would put on old jeans and long sleeve shirts and traipse into the woods behind my mother in search of wild blackberries. We would fill up large baskets and containers with the luscious berries and then lug our haul home. That night, we would be rewarded with a homemade blackberry cobbler; arguably my father’s favorite dessert. I treasure those memories of simple summers on the lake. We still go to the lake each summer but those blackberry bushes sadly are no longer there. 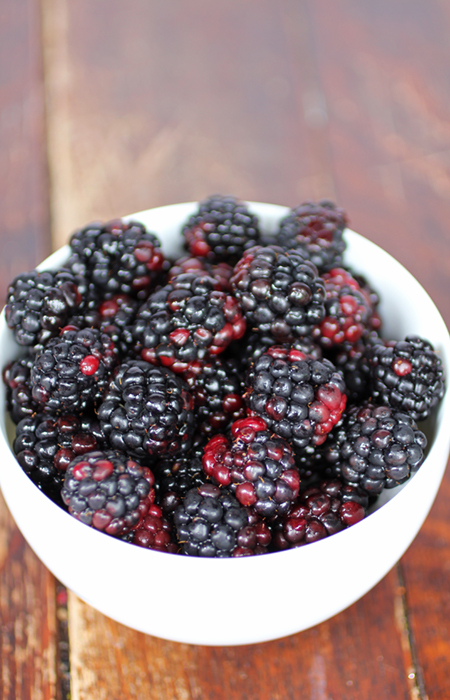 Luckily this time of year, fresh blackberries are plentiful in stores, not to mention affordable. Frozen blackberries could also be used in this recipe, as could canned (though skip adding sugar if using canned since it is not needed). You could also add other berries in addition to the blackberries for a different flavor. You’ll find that this is one of the fastest and easiest desserts to make. Plus, being in mini form it is something you can whip up anytime for a family treat, not just on special occasions for a crowd. 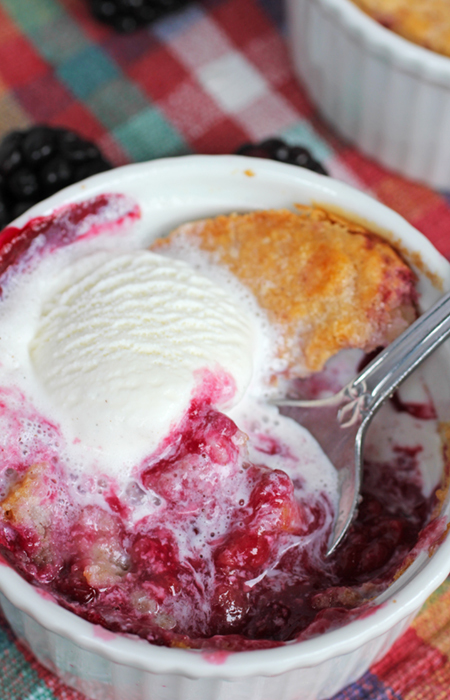 My original inspiration for this mini blackberry cobbler is from the Betty Crocker website. I made some changes to lighten it a bit and cut back on the sugar. Replacing half of the butter in the crust with plain Greek yogurt cuts back on the saturated fat while still retaining the moisture and texture needed for a flavorful crust. The amount of sugar in the original recipe is just over the top. By using in-season blackberries which are naturally sweet, you don’t need to add a bunch of sugar – a little goes a long way. 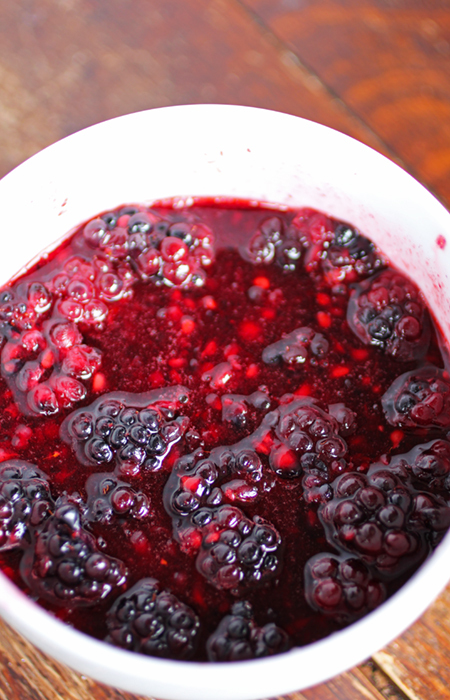 Plus, heating the berries in the microwave first helps release their natural juices to provide the sweetness needed. And we all know, a little bit of ice cream is needed on top of a warm cobbler so we don’t need the blackberries to be too sweet either. Now you can still serve this to a crowd by doubling the recipe and making it in a larger casserole dish if needed, though the mini forms are just too cute to resist! 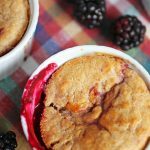 These quick and easy cobblers are perfect to showcase the best blackberries of summer with little added sugar but lots of flavor. Top with ice cream or whipped cream, if preferred. Preheat oven to 375 degrees F. Spray 4 ramekins with cooking spray and set aside. In another medium sized bowl, combine the flour, baking powder, salt and cinnamon. Stir to combine. Add the milk, melted butter and yogurt. Stir gently together, being careful not to overmix. It's okay if some lumps remain. Pour the flour mixture into the ramekins, dividing evenly. Then top each with the blackberry mixture, dividing evenly. Place the ramekins on a baking sheet and place in the oven. Bake for 20-25 minutes or until crust is golden brown. Top with ice cream or whipped cream, if desired, and serve. Frozen blackberries or canned blackberries may be used in place of the fresh. If using frozen, thaw blackberries first before proceeding with recipe. If using canned, do not add any sugar and skip the microwaving step: just pour over the flour mixture and bake. Feeding a crowd? 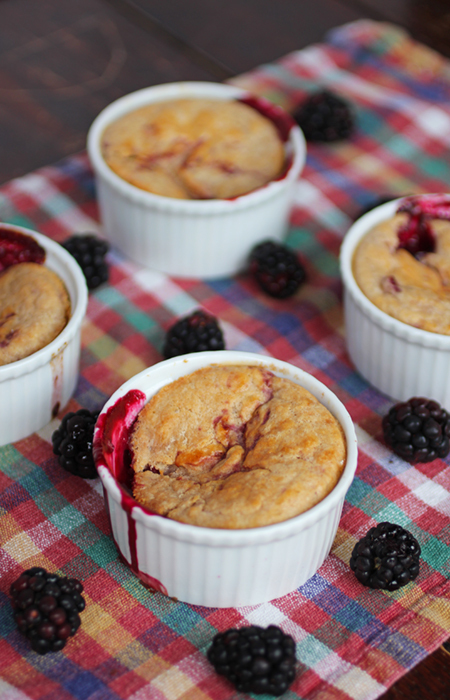 Double the recipe and bake in ramekins or pour into a 8x8 baking dish. Baking time for one larger dish will be approximately double. 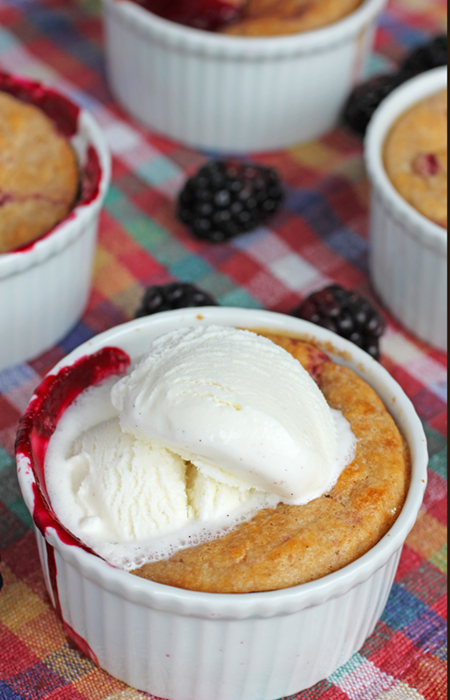 Enjoy these Blackberry Cobbler Minis! Be Sure To Check Out the Other Recipe Redux Small Bite Dessert Creations!